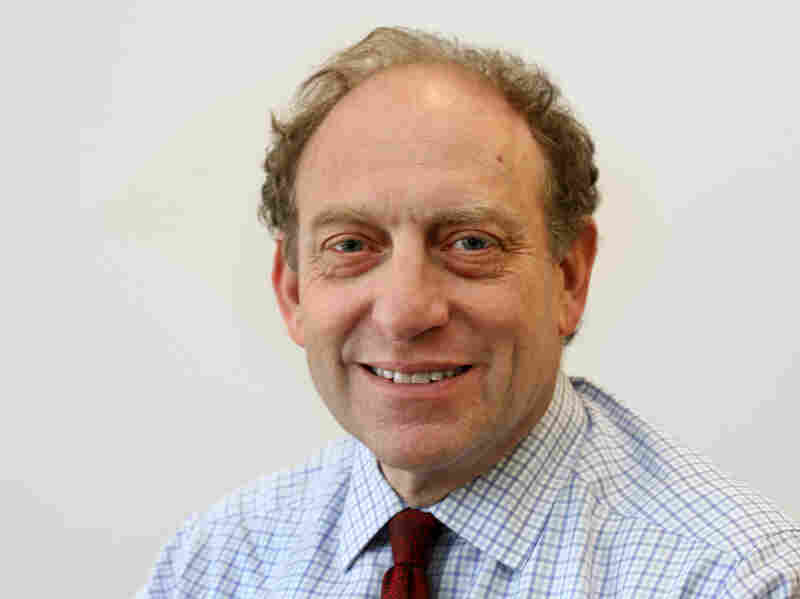 NPR Appoints The AP's Michael Oreskes As News Chief : The Two-Way Oreskes is a top Associated Press executive and former New York Times editor who has led newsrooms in such global centers as New York, Washington and Paris. Several other journalists who have known Oreskes for years characterized him as a sharp and tough executive. They noted that running a newsroom whose traditional strength is in broadcast and audio will be a significant departure for him. Yet Oreskes, in their characterization, combines old-fashioned news judgment and appetites with a willingness to demand significant change from his staffs. Former Senior Vice President for News Margaret Low Smith departed last summer, just weeks into the tenure of Jarl Mohn, the newly appointed CEO. Mohn said he selected Oreskes after a lengthy process and that he intended the appointment to reflect the central role that news coverage should play in defining NPR's identity. "A number of the things we have done, I'm hoping, are pointing in the direction of us doubling down on journalism," Mohn said. "It is going to be the underpinning and the foundation of everything we do." Oreskes joined the AP in 2008. Previously, he had served as executive editor of The International Herald Tribune, owned by the New York Times Co. and based in Paris, and as the Times' Washington bureau chief. Oreskes had also held a variety of other editing and reporting roles at the Times. During one stretch, he helped to oversee the Times' digital content and partnerships for television, and the ensuing TV coverage won three news Emmys. He got his start as a reporter at the New York Daily News and joined the Times in 1981. "The scarcest resource in journalism right now is attention span," Oreskes said. "We used to live in a world of journalism governed by the laws of physics. Time and space were our key constraints: space in a newspaper, time on the air." But that has changed, he said. "The really controlling force in the world right now [is] how long you can keep your audience, your followers, consuming the journalism you're creating. They have just so many other places to go, so many things pulling on them and so many demands on their time that our goal is to create journalism that holds them. "And I don't think anybody in journalism right now does that better than NPR." NPR executes award-winning journalism both on the air and online; its journalists have repeatedly been given top marks by the jurors for the duPont Awards and the Peabody Awards, the most respected recognitions in broadcast news. Similarly, the network has received widespread praise for its podcasts and original multiplatform efforts, such as Planet Money on the economy, Code Switch on race and identity, and Invisibilia about the secrets of human behavior. Mohn ousted former Chief Content Officer Kinsey Wilson, who oversaw NPR's news and digital offerings. Wilson was credited with championing many new digital initiatives, including the expansion of NPR Music and the NPR One mobile app, which provides a curated feed of NPR stories that can be personalized for listeners. Mohn says that he and new Chief Operating Officer Loren Mayor are guiding the network's strategy. NPR has emerged in the black financially this year after six years of failing to do so. That transformation required several rounds of deep budget cuts, and it was accompanied by a seemingly ever changing procession of CEOs and other executives. In addition, audiences for Morning Edition and All Things Considered, the network's two radio mainstays, have suffered notable drops. Mohn's Spark drive, which aims to boost audiences for Morning Edition through intensive promotional efforts, has started to show success in some key markets. He is planning the same focus for All Things Considered. Mohn says it may now be time to make efforts to sharpen the content of the shows, too. "There are some remarkable opportunities," Mohn said, "because of what has happened to many, many news organizations." He said NPR could fill a void created by the steep drop in resources for newspapers because of declining newspaper subscriptions, the sensationalism of network news and the argumentative nature of cable news. "We think that makes what we do in public radio and what we do at NPR even more important," Mohn said. Since last summer, former All Things Considered Executive Producer Christopher Turpin has served as NPR's chief news executive. NPR said Turpin has accepted a role as Oreskes' deputy in a new position, vice president for news. Oreskes starts in late April and will once again move to Washington, D.C.